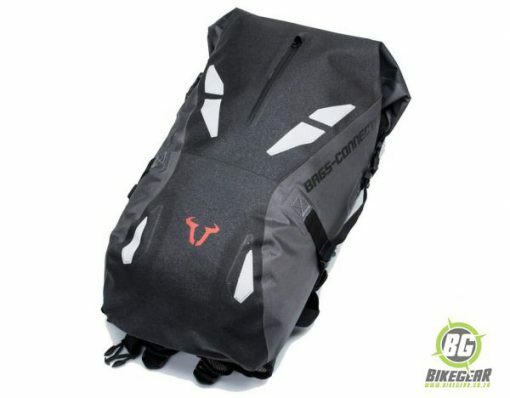 Lightweight, breathable and waterproof, the Triton 20L Motorcycle Backpack is the perfect solution for bad weather commuting or weekend adventure riding. 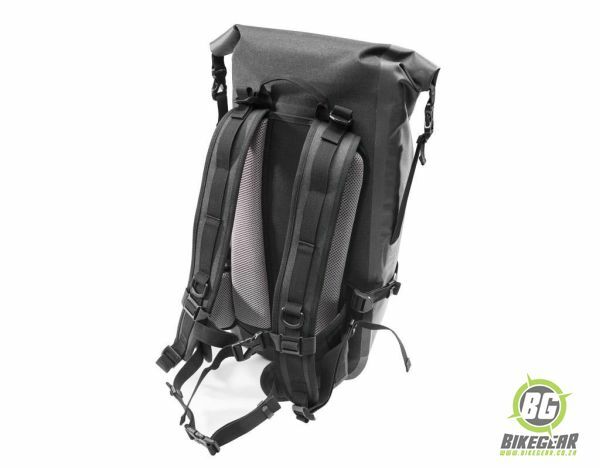 SW-MOTECH Triton Motorcycle Backpack, made  from TPU material, guarantees wear resistance, elasticity, heat resistance and protection in all weather conditions. 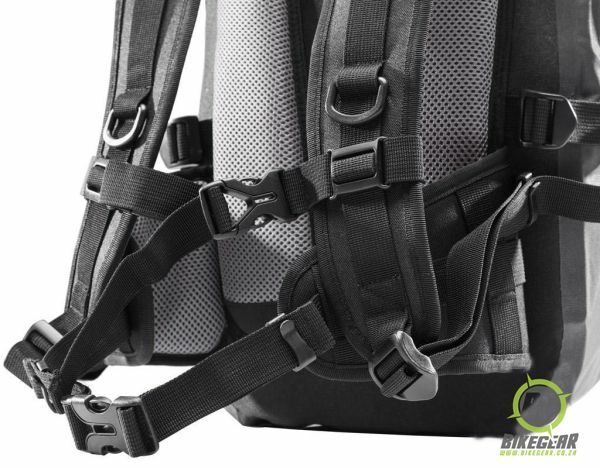 With its padded harness system and waist strap it allows adjustment as well as excellent ventilation in combination with carrying comfort and perfect fit. 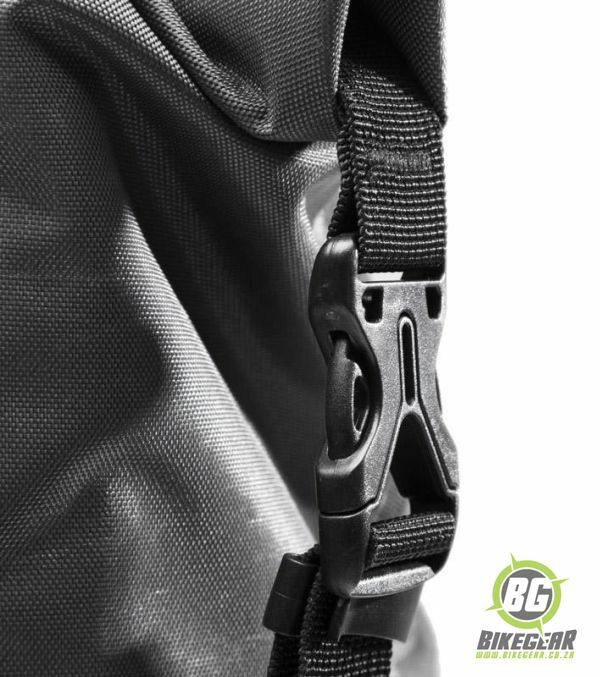 Triton further features a roll closure with compression straps for packing and compressed volume. 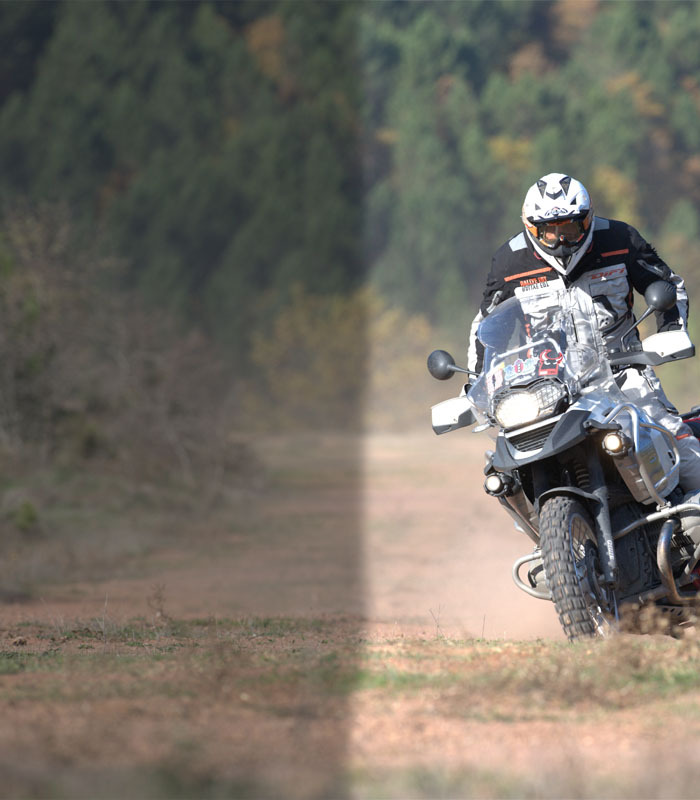 Other features include an integrated pocket for Laptop and front reflectors for visibility at night and in bad weather conditions and one front pocket. Size: 66 / 35 / 14 (h x w x d) cm. Sternum strap and waist belt. Integrated, padded Laptop sleeve (up to 42.5 cm).